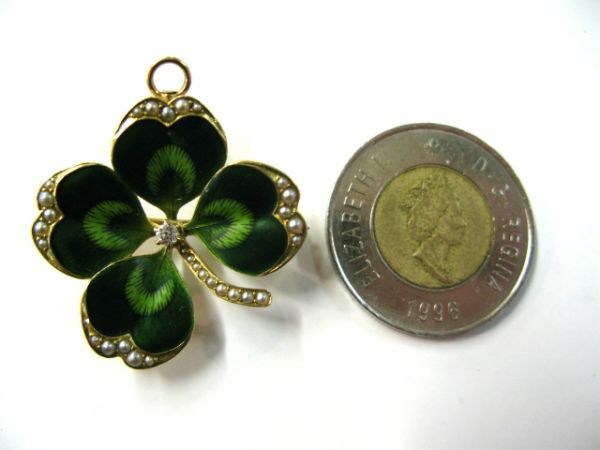 A beautiful 14 karat yellow gold with green enamel four leaf clover brooch. with 1 old European cut diamond, est.0.07ct. (VS clarity: H-I colour) and 29 seed pearls. It is approx. slighly larger than the Canadian $2.00 coin as shown in the photo.